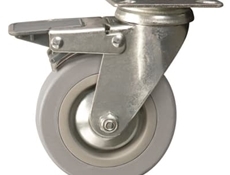 Die-Pat grey wheel commercial catering castors in our economy range with plate fitting. 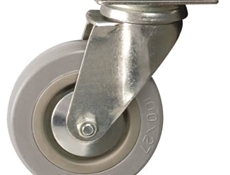 Diameters available: 50mm, 75mm, 100mm in swivel or braked option. Plain bearing, complete with threadguards Please note: These castors have slotted hole centres.